Our product range includes a wide range of stainless steel pipes, copper pipes and gunmetal bush pipes. 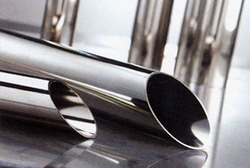 Backed by reliable efforts of our deft workforce, we are offering a broad assortment of Stainless Steel Pipes. The team of skilled professionals use their deeply knowledge and skills in manufacturing the offered steel pipes and tubes so as to maintain set industrial principles. 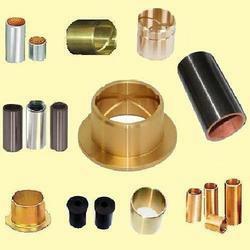 These pipes and tubes are obtainable with in diverse sizes, shapes and designs as per market preferences. In addition, the accessible products can be purchased at industry leading rates within the given time-frame. Known in the industry as a prominent supplier and retailer, we are engaged in offering Copper Alloy Pipes. Copper alloy pipes are well constructed, corrosion resistant, cost effective, leak proof and widely used in steel industries. 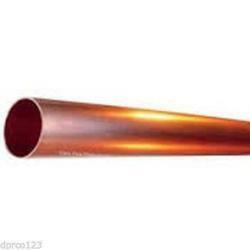 High compressive strength, longer service life, fine finishing and high heat resistance are key characteristics of copper alloy pipes which are also available in varying array of lengths. Gunmetal Bushes find usage in pumps, engine parts as well as also have diverse applications in industrial machinery and engines. Made available in high dimensional accuracy and tensile strength, these come with advantages of handling high temperatures & pressures. Looking for Pipes and Tubes ?